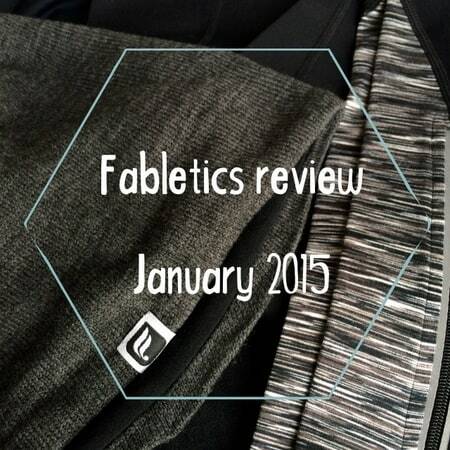 I kicked off 2015 right with a Fabletics order that came courtesy of my brother, who gave me a Fabletics gift card for Christmas and my birthday (thanks Greg!). I wasted no time when it came to ordering and I guess I was in an all-black kind of mood when I chose my January 2015 Fabletics selection. I went with the Ardent look and am really pleased. I think looking the part at the gym is half the battle. If you look good, you’ll feel good. And if you feel good, you’ll have a more productive workout. Or is that just me? So as a VIP, you have the option each month to either 1) buy one of the outfits recommended for you via email on the 1st, 2) buy something else on the site 3) buy nothing at all. And if you choose to buy nothing, just pass by the 5th of the month in one quick click, and you’re not charged. 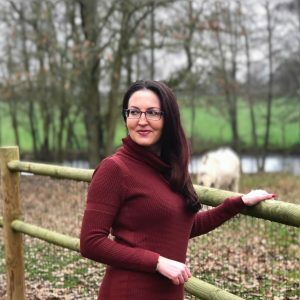 If you do choose to purchase an outfit, you pay $49.99 (it’s 49.95 euros on the French site) or a slight bit more depending on what you choose and that usually includes two or three pieces. The Zipper Legging (I chose black but it comes in black with yellow detailing too) is super comfortable with just enough stretch and compression to feel like it’s supportive but flattering at the same time. The material isn’t too thin or thick and is actually kind of soft — just a really nice fabric that moves well and feels great on. 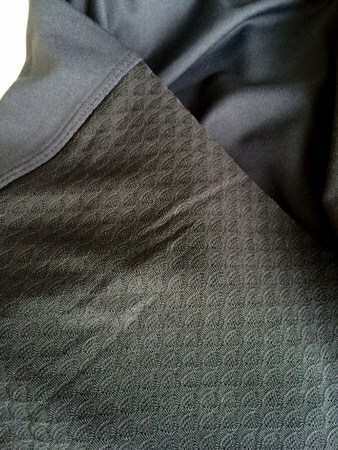 The detailing on the Zipper Legging also impressed me with a seam on the thigh and cool zipper in the calf area. This legging came in three lengths and I chose the regular, but if I could reorder, I’d go with the long. I’m 5’7″ but it seems the regular length, 26 inch inseam (figured it would be fine), left about an inch of my ankle kind of bare and I’d rather have a little extra fabric so I can pull it down to at least hit my shoe. This wasn’t enough of an issue to return them or anything but going forward, if leggings are available in lengths, I’ll probably go with the long ones. This is a great relaxed fit top that layers well over a tank or even for a casual outfit when you’re not in the gym. It’s on the roomy side so if you’re in between sizes or want a more fitted top, I’d say size down. The mixed media material is moisture wicking and adds interest to the top and the sleeves have cozy thumbholes. It also has adjustable side elastics if you want to cinch in the sides a little. The third item in the Ardent look is the Slouchy Beanie. I don’t wear hats that much aside from my winter weather ski-style hat but this gray beanie is actually really comfortable and I was happy to wear it out while walking Dagny. 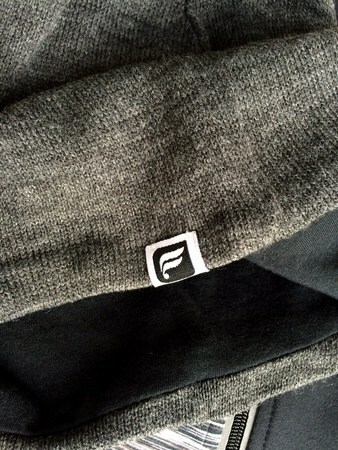 It has a nice black inner liner that’s really soft and would wick away any sweat if you wore it running. It’s also not too tight and fits well (my head is kind of big). If you live in a really cold climate, this hat might not be warm enough if you’re spending extended periods outside but for temps in the 30s-40s F, it’ll protect your ears and keep your head warm for a jaunt outdoors. 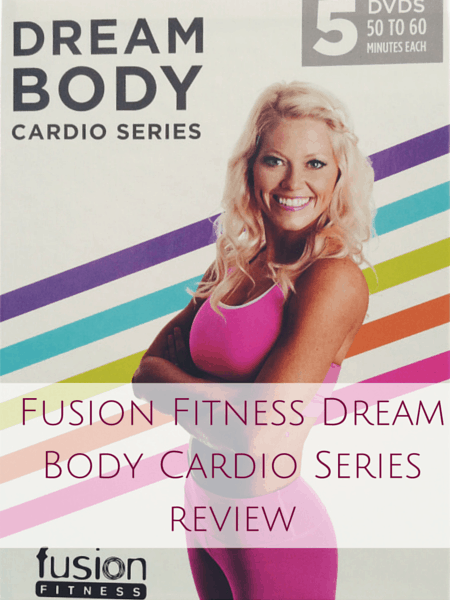 I’d wholeheartedly recommend Fabletics to anyone looking for good quality workout clothes at a decent price. Their clothes are fashionable, versatile and you only order (and are charged) when you feel like it. No commitment at all and free shipping and returns is a nice perk. 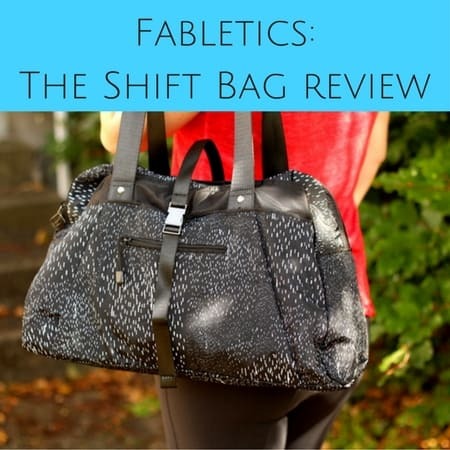 So that’s my Fabletics review. 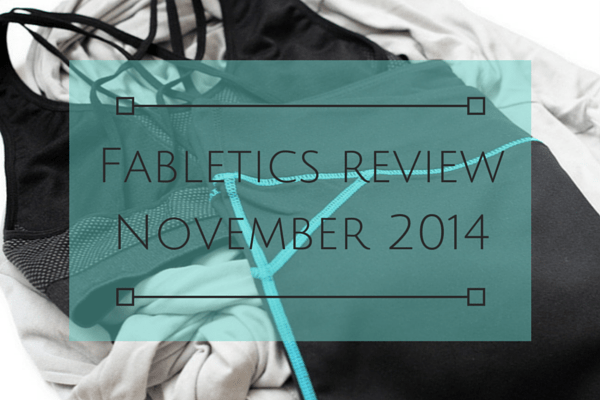 Have you ordered from Fabletics before? Disclosure: I paid for my workout clothes (well actually my brother gave me a gift card for the holidays this month) and was not perked by Fabletics in any way. Some of the above links are referral links meaning I get credit if you sign up — and you get the great deal. I really like their clothes and luckily they do send you a reminder email each month to pass or purchase. I haven’t forgotten to pass yet (really takes 1 second to just click and hit pass). Definitely check ’em out!